I’m writing this as I sit at a cafe along the promenade in Noosa. The rain is looming but it won’t deter the many that flock to the Food and Wine Festival here. I am performing with my dear colleague Ambre Hammond as part of the festival. Our performance last night was a beautiful, extremely intimate concert ‘in the round’ on the hilltop at sunset. Here is a shot from that. When we get back to Sydney its all focus on our next show at Camelot on the 28th of May. Perhaps the last time you can see us before we hit the studio to record our second album! You can purchase tickets for our Camelot show here! The month of March marked the launch of Tango Saloon’s latest album. Another great output from Julian Curwin. Launched at The Basement and softly at Django Bar. Its my opinion that this band is one of the underrated gems of the Sydney music scene. I’m sure I’m not the only one who shares this view. It also marked the launch of Beat Spacek’s latest solo offering. I had the pleasure of being involved in a live performance of this future soul music that transcends genre and style. Recorded live for Boiler Room TV. Another artist originally from the UK but residing in Sydney now, who is making truly original music. Last but not least, in terms of album launches; Baby et Lulu’s ‘Album Deux’ was launched in Sydney in April. We are currently in the middle of the album tour, which is touring all around Australia. Its always a pleasure to be performing French song with these guys. Some of whom I have been working with for over 10 years now. Two Oh Won Fighv - January update. Bringing 2014 to a close performing at the Opera House was a nice touch even if it wasn't inside the concert hall. But the start of the new year seemed to be more exciting than ending 2014. Just a little update on the latest. 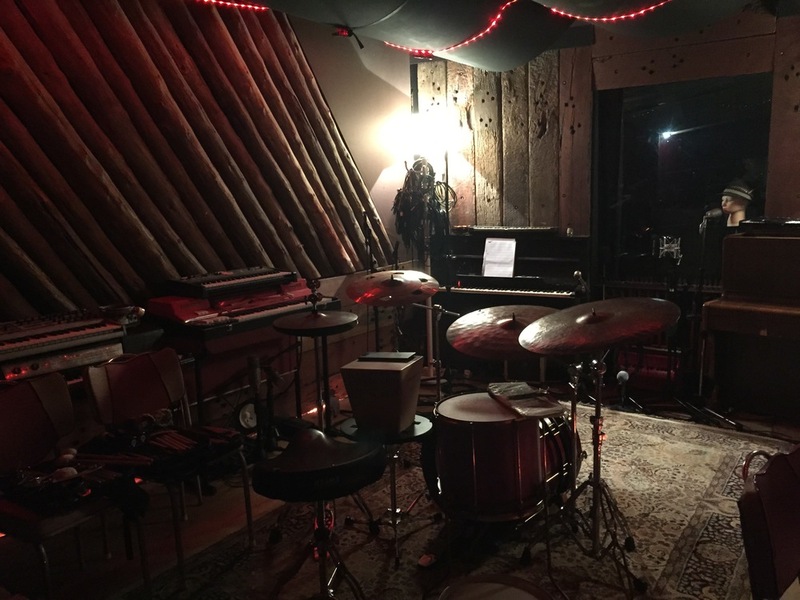 A fantastic three days in studio B of REC Studios with Abe Rounds early this month procured more than a handful of songs that will need some more work but the production / writing process was so seemless with Abraham who has recently located to LA and is busy touring with Meshell Ndegeocello. Keeping the keyboard stool warm while Danny G is overseas with the Ojeez at the Monday Jam this month continues to be a blast. The jam supports some great local and international talent along with a special guest performer each week. Sometimes the highlights of the year come early and in this case one most definitely has. This Thursday I am performing as guest artist with the Jazzgroove Mothership Orchestra under the leadership of Grammy award-winning composer Maria Schenider along with guest composer/pianist Belgian Jef Neve. The performance will be held at Angel Place (City Recital Hall) as part of the Sydney Festival. I am relatively new to Maria's work and I can only say I'm a huge fan of this masterful composer! Rehearsals underway with master composer Maria Schneider and the Jazzgroove Mothership Orchestra. At the end of 2014 I went into the studio to record an accordion based trio album with double bassist Mark Harris and percussionist Nic Cecire. The mixing is in its latter stages and a launch of the album will be happening in the coming months so stay posted. I have a very special performance to announce on the 17th of February at the Delmar Gallery as part of the 2015 programme of the Society of Arts. I will be performing with the incomparable Phil Stack on double bass in this intimate duo concert. Tickets available HERE! The last couple of months have been an exciting time for me musically with some notable performances and future projects in the pipeline. July marked my first performance with the amazing flautist Jane Rutter. I was invited by Jane to perform at the City Recital Hall (Angel Place) for a Bastille Day celebration combining classical, romantic and classic French repertoire. It was a great experience to play with such esteemed classical musicians who also included soprano Yvonne Kenny. This concert was followed up with a performance at The Concourse theatre in Chatswood as part of a lunch time series. There has been talk of an album in the near future. Baby et Lulu in the Studio. The end of October saw Baby et Lulu enter Sony Studios for their second album. A winning combination of both Lara Goodridge and Abby Dobson, along with the band and producer Tony Buchen was used again. Look out for the album launch in the coming months. Otherwise catch the band at Camelot which has become the groups staple ground. This weekend though we head up to Mullumbimby Folk Festival for a couple of performances. 10 years with this band makes it my longest running membership and what a blast it is with such voraciously talented and experienced musicians. The Cohen shows were a great success and will be followed up next month with a tribute to Louis Prima. Every month the performances at Camelot are a blast. 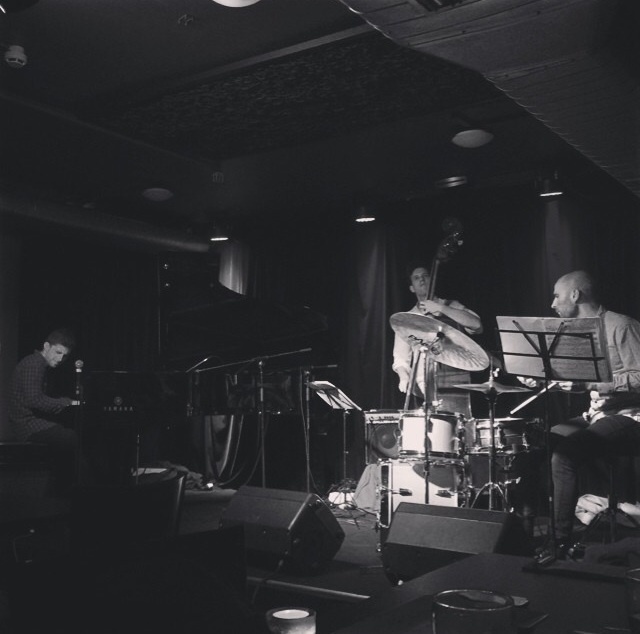 Residency at Palmer & Co.
Having studied a Bachelor of Music in Jazz performance at the Sydney Conservatorium, I can tell you this residency of playing jazz standards is one to be cherished (as long as it lasts!). Every Tuesday night the classic American songbook flows with some of my favourite musicians to play that music with. Qantas - Feels Like Home. I had the pleasure of recording on this song as part of Qantas’ new campaign. Singing is Martha Zwartz, daughter of legendary Sydney bassist Jonathan Zwartz. We will be performing this with an all star line up on the 19th of November at Sydney Airport in the hangar. Look out for the footage! Going into the studio with MNM Trio. Its been a while coming but finally its time to record a specific piano-accordion trio album. Joining me will be Mark Harris on bass (long time colleague in Monsieur Camembert, Tango Saloon and Baby et Lulu) and Nic Cecire on a hybrid drum kit setup. Looking forward to preparing a mixed repetoire of European and latin classics along with an original or two in a jazz context. EPK to come! Tonight I will be performing at Palmer & Co (Sydney) with a couple of close friends and fantastic musicians - Michael Walder and Nicholas Jefferies. Playing those standards till midnight amongst the cocktails. In the meantime have a look at my friend Sam Zubrycki's last and latest episode of the Monday Night Jam series. The Monday Jam happens every Monday at Gingers, on Oxford St.
Monday Jam - Episode XII - Marcello Maio from Sam Zubrycki on Vimeo. I had the pleasure to tour with the Song Company three Christmas' ago. I found this little preview of that tour on youtube. Was an amazing experience balancing the accordion with those voices acoustically and being under the direction of the peerless Roland Peelman. After local performances with the Phil Stack Trio and Rita Satch in Sydney I'm off to Cairns today with Monsieur Camembert at the Tank Arts Centre. Fantastic venue. Here are some snaps. Late night rehearsal at the residence. Good job guys. A week in the life; this week I have the pleasure to work with the following amazing musical talent. wed night at play bar with the Phil Stack trio. Looking forward to this jam. A photo from the concert a couple of weeks ago at City Recital Hall with Jane Rutter and Yvonne Kenny. What a pleasure. Great having Junichi and Declan together on this one. Choice selection of tunes for this one. Brazilian funk soul. Performed last night at Foundry616 with the trio. Lisa and Danny came down and we listened to Taylor, the Latte Boy on the way to Fatima's after.